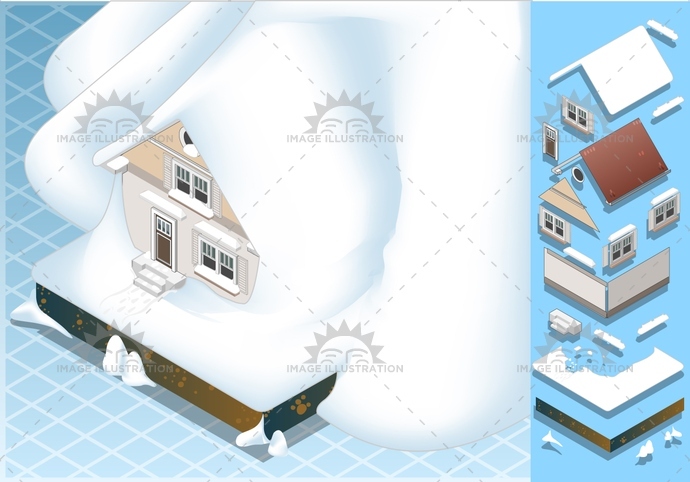 Stock product - detailed vector illustration - Isometric Building Collection - Landslide 02 - created by Aurielaki. Image formats EPS AI JPG. SKU: Landslide-02-Building-Isometric-AurielAki. Category: Natural Disaster Vector. Tags: avalanche, break, christmas, cold, Collapsing, cottage, damage, danger, destroyed, DetachedHouse, disaster, earthquake, frozen, house, ice, isolated, isometric, landslide, nature, neva, risk, rural, season, snow, Snowcapped, Snowdrift, SnowedIn, terrain, weather, winter.